Analysed the Denim imports along with average price and percent change in the imports from USA to All the Countries for 2017-18 ( Jan – Aug). 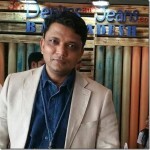 Segmented the total denim exports into All Denim Apparels , Women Denim & Men Denim and analysed the same for the aforesaid period . Comprehensive analysis of percent change in the imports to all the countries along with the changes in the average price of Mens and Womens Denim.